My for sale thread was deleted. Nobody was hating, for sale thread had some replies saying the top was nice...it was a local sale and had pictures + price. Just my post count is low...because I don't post. 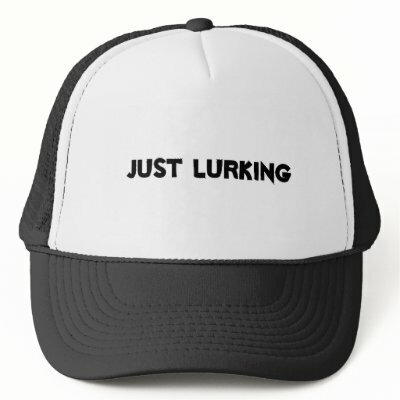 I lurk. Last edited by Java Junky; 01-25-2012 at 02:23 PM. Reason: 'Post'a. Your top was quite nice but I suppose rules are rules. Dump'a couple'a spoonfullz'a silicon carbide in for me, hey? Duo, look on the bright side at least JJ didn't tell you to "pound sand". It's gotta be done bro. Otherwise it's maddening for the locals. tell us a good joke, 'n we'll help you jack your post count. yeah, this weekend I watched a noob or is that nube? Post 40+ times in one afternoon...I tried to keep up, but got bored and busy doing other things...but getting your posts up is easy....just takes a time investment. ^^Is she lurking too. If so, she can lurk all she wants. Whatever works for you Glenn!! JJ, pm me your checking account # and I'll wire transfer the funds. I was thinking more like $500. She needs to eat a biscuit or two...poor thing.